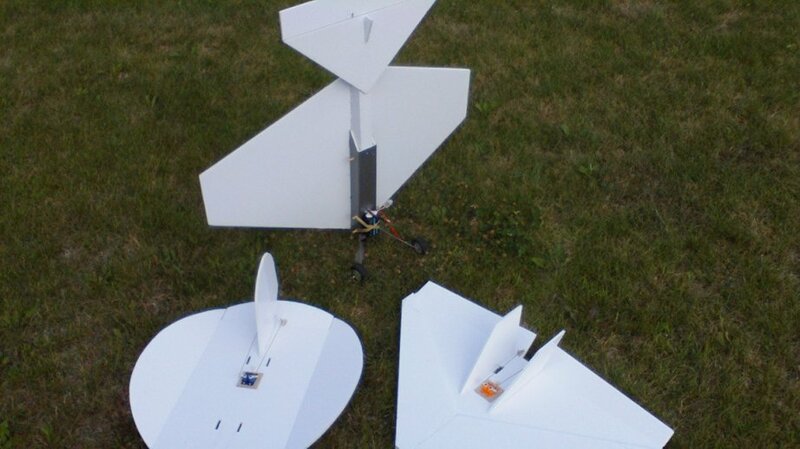 what about swapable fpv planes??? I'm sorry but I had to have a laugh at the lamp post - what are the chances Nice build! It looks to me like your delta might be a bit tail heavy, you might find it a little less of a handful if you shift the CG forward a little. I'll try that, but for now I need props, this was a 5inch, maby too little, and my prop saver stripped off. As for the fuselage and wing, good as new. this airframe is tuff! Does anybody know if these dollartree foamboards are available in Europe, or in a shop that ships international? The price here in Denmark is many times that from dollar tree, and the boards are smaller. Would be nice if I could order a case with 50pcs but don't think dollar tree ships to Europe. I found foamboard at www.modulor.de at 3,95 € for a 5 x 500 x 650 mm per shiet. 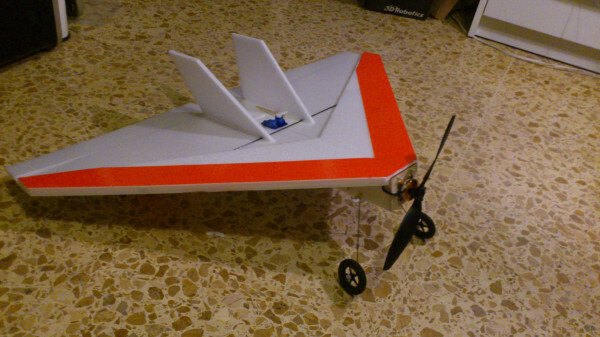 I made Fuselage, FT-Flyer, Nutball and Delta-Wing out of 4 boards. Not as cheap as in USA but a lot of fun for the buck. FT-Flyer has a span of 30 inches, Nutball 20 inches. Delta-Wing is stock with a bit of fiddeling at the wingtips. I think a Funbat would be nice too, because there is no mixer nessesary. Awesome plane! I built mine's using 6mm Depron, fuse reinforced with extreme packing tape and wing reinforced with a 3mm CF spar. Thanks flitetest for this fun design! I found foamboard at www.modulor.de at 3,95 &#8364; for a 5 x 500 x 650 mm per shiet. I made Fuselage, FT-Flyer, Nutball and Delta-Wing out of 4 boards. Not as cheap as in USA but a lot of fun for the buck. I bought foam from epp-versand.de. The price was good and shipping not to expensive. Much cheaper than from local shops. I want some plans for the fuse and Delta that I can print out like normal. I cannot print the plans on multiple sheets. All the measurements aren't on the single sheet. Seach for posterazor, its freeware. Than you can. Depron from EPP-Versand is fine but I found no qualitys with paper on both sides. Hello, congrats on the build! I can only find 3 or 6mm depron and I was wondering if it will fit OK with the provided schematics. How large throws do you use on this for a gentle flight? Any preferred expo? Was thinking of building the delta and was wondering if it would be possible to turn into a pusher style plane with the motor at the back? do u think it would have any effect on it? Moving the motor will have a dramatic effect on the CG - it will need to be readjusted after the mod. Can I use the Supo Motor 2208/14 1450kv from the FT Old Fogey on this build? I'm using a 3s 500mAh w/ an 8x4 prop and an 18amp ESC. Absolutely, it flys great with it. I got the disposable foamie sport combo from Grayson Hobby for curiosity's sake, very nice motor/esc for the money. I took it up with the Delta and a 3s 850mAh. 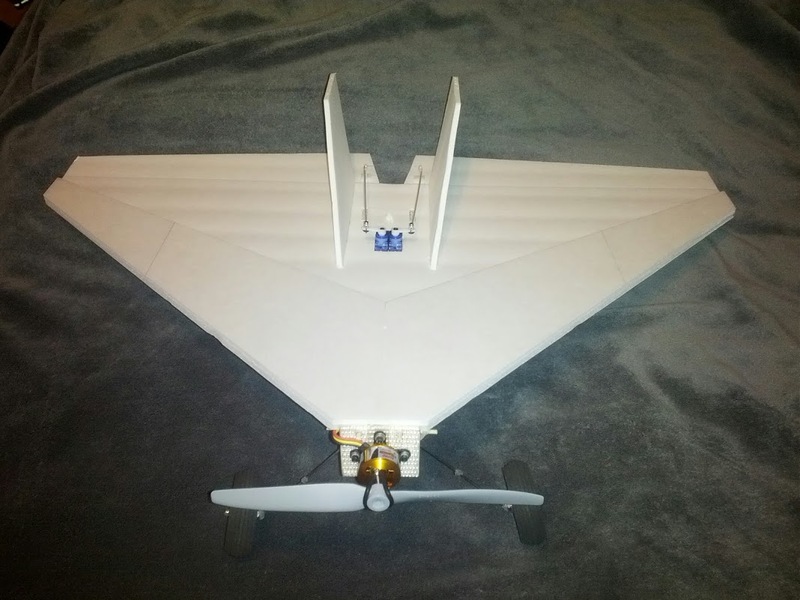 Thanks Bolvon72, I am currently working on building my Delta Wing just need two servos and I'm done. Can't wait to lean a different type of flying. I used the FT Old Fogey to lean how to fly, great trainer! No problem Strows, with that motor combination the Delta will hum along nicely. Just check your low rates if this is your first time flying bank and yank. She has a fast roll rate, the rolls I managed to catch on camera were with medium throws and 100% rates. The rest of the time they were 65%. Mind you that's also with a smaller motor, yeehaw. WOW!!! Took her out for her maiden maiden flight this morning. What a diffidence "bank and yank" it was so much fun. I got to land her perfectly, Yeah I was surprised to being that I only have 2 weeks of flying experience. Hopefully I can get someone to go with me next time so that I can get some recording done. I do need to get smaller wheels though, these came off of my FT old Fogey.